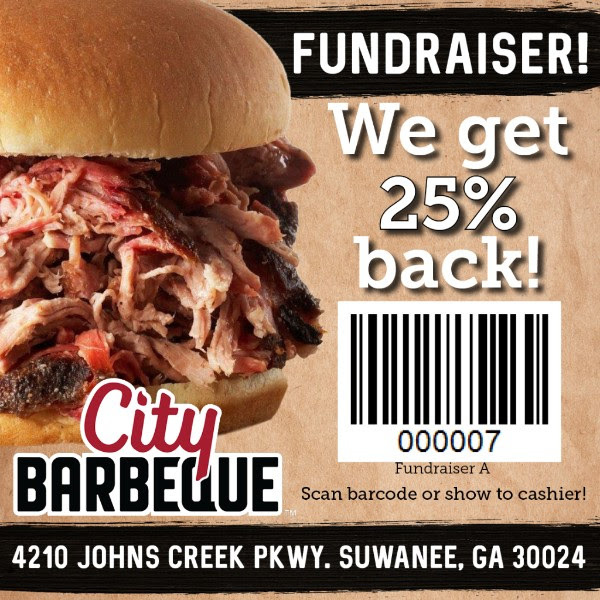 Join us at City Barbeque – Johns Creek’s newest barbeque hot spot – on Thursday, February 21 anytime between 10:30 a.m. and 10:00 p.m. When you present this coupon – electronically or as a hard copy – 25% of your bill will be donated to the Johns Creek Symphony Orchestra! Whether you’re in a group or solo, dine-in or carry-out, 25% of your total bill is donated to the JCSO – and that’s just tasty.